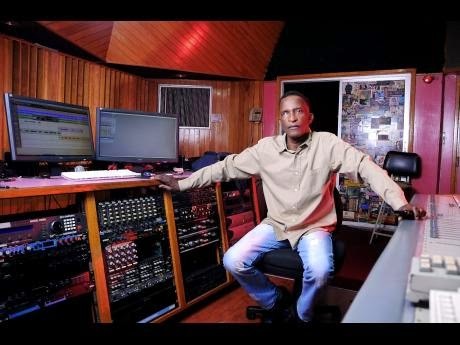 As published in the Jamaica Sunday Gleaner newspaper, music producer Clive Hunt who has been working within the reggae music industry for over 40 years, says reggae music can survive another 40 years, "my job is to try to educate the younger players because I believe our music can survive another 40 years. I don't see why we should let it die. Reggae has been beneficial to Jamaica just as much as, or even more, than the sand and the sun" he said. Clive Hunt studied at the Royal Military School of Music in England. He battled with cocaine addiction and has stayed clean since 1991. Yet, after so many years the 63 year old reggae instrumentalist is optimistic about his future, "since '91 when I left the rehab, I have had five major publishers want to write a book about me. I didn't think I had done enough, but now I think I have." For many years, Clive Hunt has been arranging songs behind the scenes. Now, he represents Reggae's long standing label VP Records, working with major reggae artistes such as Etana, Jah Cure, Maxi Priest, Beres Hammond and Queen Ifrica. He is currently working on a Dennis Brown cover album with Maxi Priest, Queen Ifrica, Richie Spice, Ikaya and Dennis Brown's daughter, Maria Brown, and was instrumental in the production of movie soundtrack for Destiny, the Jeremy Whitaker produced longest running film at the box office in Jamaica, "they have enough work for me that I can work daily.." Clive Hunt said of VP Record label to which he is signed. However, he note that his contract was not exclusive, "I am very open when it comes to who I work with. If I hear a talent come in I can work with them as long as they have a good attitude. It is a real pleasure to work with young people and the ones who have talent" he said. Future plans for Clive Hunt according to the Jamaica Sunday Gleaner involves the opening of a music studio that is currently under construction. Located in Bog Walk, St. Catherine, Hunt is thinking eco tourism, "It is in the mountains of Bog Walk. It is like an ecotourism type of vibe. I am building cabins and there is a river down the road and lots of trees. The whole community loves it and I intend to staff it with people from the community." The spot which the studio is being erected was once occupied by his father's Nyabinghi Church that was destroyed during Hurricane Gilbert in 1988.